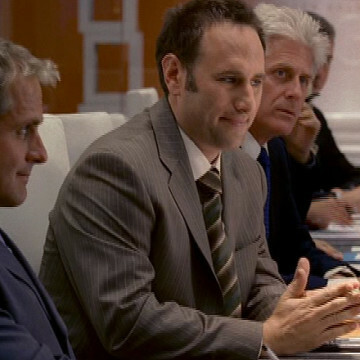 Jason Sklar plays the part of Jeff in season four’s eighth episode, Gary’s Desk. Jason guests alongside his identical twin brother Randy during his appearance and portrays the slimier half of the duo. Building tension between the twins eventually leads to a battle of the brothers near the episode’s nine-minute mark. After their altercation, we learn that Jeff has slept with his brother’s wife. This revelation prompts a hilarious series of questioning from Ari.